...At the beginning of 1943 a resistance group was organised in the ghetto. The leader was Samuel Weiler. The resistance organisation made contact with the Polish underground, a unit of the Polish People's Army from whom they obtained several guns. The Jews wanted to organise resistance in the event of the liquidation of the ghetto. 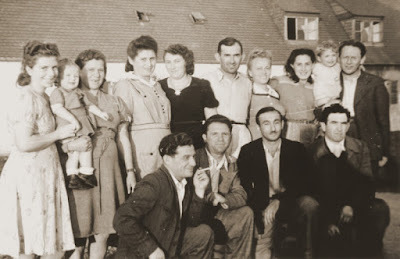 Some of the members of the group decided to escape to the forest prior to the liquidation...In the Pianica forest a so-called "family camp" was organized, where 80 - 200 Jews from Brody were hidden. Why were there two organizations and not one? in the ideological and political hostility that characterized the politics of the Yishuv, the pre-state Jewish community in Palestine. Brody was where my mother's family lived, the Shteckler and Nadel families. One of the last commanders of the Beitar organization (In Hebrew the acronym for “The covenant of Yosef Trumpeldor”) in Brody was Shmuel Weiler, of blessed memory, great–grandson and grandson to a Rabbinic dynasty, a graduate of the Polish Gymnasium, a handsome youth, brave and fearless, and limitlessly dedicated to the national movement. In 1941 he was a resident of the ghetto [he was born in Vienna - YM]. Here, in Brody, despite all of the suffering and the horrible conditions in the ghetto he dreamt about rescuing his nations' honor and about raising the flag of the struggle against the invader and the oppressor of the Jews. He was one of the few who survived the war. Based on his written testimony that he provided to the Jewish Historical Institute in Krakow, one can assemble a short review of the fight of the local youth against the Nazi regime. Shmuel Weiler, the commander of Beitar, together with several friends, including Shlomo Halbershtadt, a former member of the “Hashomer Hatzair” movement, Yaakov Linder, a member of the “Komsomol” (The Communist Youth Movement) and the teacher Adolf Klar, established a fighting organization in the ghetto by the name of ZOB (Zydowska Bojowa Organizacja = The Jewish Fighting (or Combat) Organization), headed by Shmuel Weiler, which was the nucleus of the local partisan movement. The Jewish fighters contacted the Polish fighters in Lvov and asked for their help; however, the Poles refused to accept them in their ranks, and to provide any weapons. Thus, the organization, which was isolated from the outside world, decided to secure the needed financial means on its own, and to acquire the necessary weapons by purchasing it or by force. Among the few who were willing to assist the organization, was the Ukrainian Communist activist, Yashko Buraczek, a friend of the Jews, who has meanwhile passed away. The organization received the first handgun from him. Weiler managed to contact an ethnic Pole, a soldier who served in the 45th battalion of the German army infantry (there were Poles from Pomerania, Silesia and Poznan who served in the Wehrmacht). This Pole told Weiler about the huge defeat suffered by the German forces headed by von Paulus, during the winter of 1942/43 in Stalingrad. The organization published and disseminated this and other news via leaflets. The news helped in raising the morale among the Jews and in forging their will to survive. However, the organization was not satisfied with only this type of actions. It decided to start open struggle, get out of the ghetto, and run away to the surrounding forests. They planned to join the partisans and fight against the Germans. The organization continued its activities by performing sabotage actions. Near the village of Sukolovka, its members blew up a tar factory. Tar was a needed raw material for producing ammunition. The forced labor camp at the Sasov quarry was attacked too in order to get hold of dynamite for the production of mines. An underground member, the engineer Fauerstein, invented a mine for blowing up railroad tracks. The mine was placed about 40 kilometers from Brody between Krasna and Kolkosh stations and caused the derailment of a train locomotive, the destruction of two boxcars full of weapons and ammunition, and the death of tens of German soldiers. Despite the harsh conditions and the never–ending lurking dangers, at every moment the fighters were also keen at preserving their cultural life even while in the forest. They organized meetings on Saturdays and evenings, in which they gave lectures on current events. Moishe'le Shapira stood out in these meetings in which he read from his poems about the Jewish people, its enemy and the fight against it. At about the same time, it was announced that the organization was accepted into the ranks of the GL–Gwardia Ludowa–organization, the “Elite People's Guard,” the Polish underground leftist resistance organization in Lvov. The GL organization promised to provide commanders, as well as non–Jewish partisans and weapons. When its funds had dwindled, the organization decided to rob the national bank branch in Brody. Twelve people set off to carry out this undertaking on 13th of May 1943. At noontime, the members heard that the force encountered a German army unit. A battle ensued, in which two of the group members – Bunyo and Izyu Reinhold, were slightly wounded. The group was forced to retreat toward the forest. The German succeeded in capturing two of the fighters in the swamps and they handed them over to the city gendarmerie. While their clothing were being searched, the fighters managed to draw their guns, kill a policeman and run away to the ghetto. The house in which they were hiding, was surrounded by the police force and its residents were taken out and shot to death. When the fighters saw that they do not have any hope of escape, they committed suicide. At that point, it was clear that the time had come for an uprising. The organization called for active resistance against the oppressor. They encouraged the Jews to follow the example of Ghetto Warsaw, which fought heroically against the Germans. They appealed the people to escape to the forest and join the partisans. Many abided by the appeal. In order to sustain themselves, groups of members attacked the farms of rich “volkdeutsches” and confiscated meat and flour. They left a note in every place they raided, acknowledging the confiscation of the produce, stamped by the organization logo. On 17th May 1943, a force consisting of two German army companies, Ukrainian police and the gendarmerie attacked a group of the organization members. The ensued battle lasted the whole day. Unfortunately, the attackers had the upper hand. Thirty Jewish warriors died a heroic death. The survivors returned to the city and hid in the attic of the ruined synagogue. The police discovered their hiding place and they were captured. After that incident, the head of the Judenrat demanded that Shmuel Weiler sign a declaration that he would not incite the youths to fight against the Germans. Weiler refused. The Judenrat then demanded that Weiler's mother sign in his name and she refused as well. During the night of May 20/21, 1943, the ghetto was surrounded by S.S. units that arrived from Lvov, headed by Major–General Katzman, may his name be damned, and Ukrainian police forces that were mobilized from throughout the environs joined them. They entered the ghetto and forced out people from their homes and hideouts. After robbing them of everything they owned, they loaded them up on trucks and transferred them to the train station. From there they transported them in crowded and sealed boxcars to the death camp of Majdanek (one of the survivors testified later that the train bypassed the Belzac camp). Many tried to jump off the moving train, but only three managed to survive. Miraculously, Shmuel Weiler himself survived. After the liberation by the Red Army, he and his mother moved to Poland and from there to France. 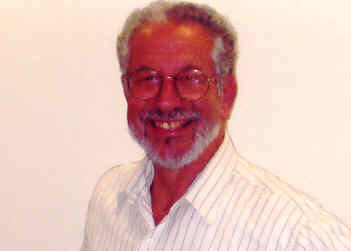 In France, he continued his work in the movement and became the secretary general of the right–wing Herut–Hatzohar Union party. He served as a journalist for the party's newspaper, “Herut”, in Israel and acted on behalf of and for the benefit of the state of Israel. He played a major role in organizing the weapon shipment via the ship Altalena. He served as a delegate in the Zionist congresses and visited Israel. The author would like to mention that a group of Jewish partisans from the neighboring city of Radzivilov, was also active in the area of Brody during the conquest years (see article by Yekhiel Porochovnik in the Yizkor book for the city of Radzivilov–Sefer Radzivilov, pp. 232–250. Shmuel Weiler did not mention the group in his testimony since most of their activities occurred after the extermination of the ghetto. Most of the members of this group later joined Russian units and fought in the ranks of the Red Army. Shmuel Weiler passed away in Paris in 1962, at the age of 48, after suffering from a malignant disease. His mother, Adela Weiler transferred his body in December 1962 to Israel, and he was buried in Kiryat Shaul cemetery [near Tel Aviv. M.K]. Adela Weiler passed away in October 1971. She was a public figure and an industrious Zionist leader in Brody. She was buried near her son. Her memory and the memory of her son would be forever bound in the bundle of the living among all of Israel heroes. Hashomer Hatzair–Translated literally as “The Young Guard” is a leftist Marxist Zionist youth movement affiliated with a party by the name of Hashomer Hatzair–Workers Party of Palestine (later unified with other movements to form the leftist Mapam and Meretz parties). The organization was established in Galitzia in 1913. The movement is active today in Israel and internationally. Likud Party – Literally translated as “consolidation”, is a union of center–right wing parties formed by Menahem Begin. The senior party in the Likud is Herut (translated literally as “Freedom”) which was formed in 1948 as a successor to the Revisionist Irgun militant underground organization. The first union was formed in 1965 between Herut and the centrist Liberals party. Several other small parties joined in 1988. In the book Ner Tamid - Yizkor L'Brody, he is mentioned, see pages 170-175, but no pictures of Betar Brody or of Weiler, which I have seen when I visited one of the editors, are included in the book! Shmuel Weiler, who brings this testimony, turned to the Pole, Tadeusz Z'ak, and asked him to find out whether the Polish Fighting Organization – or the“Home Army” (“Armia Krayova”) in Lvov would agree to accept the Jewish fighters into its ranks, or, at least, maintain a contact with the Jewish organization in Brody. Z'ak returned and brought an absolute negative answer. The members of the Polish organization said that they do not want any contact with the Jews. The Jewish youth didn't give up. It was decided to establish an organization called “The Jewish Fighting Organization” [or ZOB - Zydowska Organizacja Bojowa]. In Polish, the name of the organization begins with the word “Jewish,” and thus, it was felt that it was a separate organization that didn't receive help from any cause. Based on a suggestion by the teacher, Keller, it was decided to postpone combat operations to the following spring and use the period of fall and winter of 1942 for organization and preparation. A leadership was elected: Shlomo Halbershtadt, Yaakov Linder and Shmuel Weiler. A contact was established with the Ukrainian, Yashek Borchak, a known communist activist. The Organization was based on “trios” (troika). Meetings took place every evening. Funds were collected, weapons were acquired and bunkers were prepared. A bulletin, which publicized the news from Radio London, was published. Underground leaflets – “Gwardzistah” [Militiamen] “Neipodelgloshets” [Freedom] and “Volnoshets” [Independence] were brought from Warsaw, and leaflets of the “Polish Workers Party” (PPR) were brought from Lvov. In December of 1942, Weiler established a contact with a soldier from the German army, a Pole from Pomeran near Poznan (The 452nd German battalion was made up of Polish residents from Poznan and Pomeran). The soldier told Wailer that twenty-two German divisions, under the command of General Paulus, encircled by the Red Army in Stalingrad. The information flowed two-ways. The Jewish organization also provided information, which was carried back t by the German soldier, to the Polish soldiers in the German battalion as well as leaflets. A branch of the organization was also established in the labor camp where the Germans concentrated the majority of the men from the ghetto who were of working age. Meir Foyershtein, Marian Altura and Mans Klugshlager headed the group in the camp. On their return, the young men met two Jews in the forest who were sent by the Jewish Fighting Organization of Krakow to explore potential locations for partisan operations. The Krakow fighters had weapons, Aryan papers, underground literature and also a small military pharmacy. They told that they had another member with them who disappeared without a trace. They walked to Lvov on foot. In the town of Oleshko they were stopped by a Ukrainian police commander who demanded to see their identity cards. The young men shot the policeman and fled.